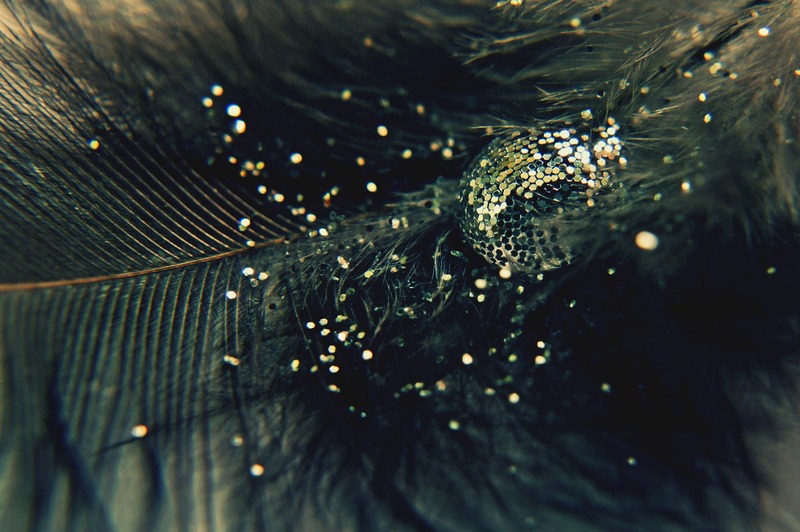 A second water-drop photo taken using just water, some glitter and a pheasant�s feather. Now that I�m looking through these I remember how much fun I had taking experimental photos like this. I should start up again! Awesome! I love these kinds of photos! Can’t wait to see what you come up with. Hey, awesome picture!! Well, I’m going to use it for something…that okay?? Depends on that something. No commercial use is allowed, nor are any derivative works allowed. The work may be reposted unaltered as long as you link back to here. What do you plan on using it for? I have to do a paper on a photo- and what it stands for, and write a story about it…in French. Actually, it’d be really cool to see your interpretation of it. :) If you feel comfortable, could you share your paper with me?